“A Question of Holmes” is the final book in Brittany Cavallaro’s Sherlockian series. It has continued the partnership of Sherlock Holmes and John Watson only reimagined as teenagers with the angst and problems that come with adolescence. 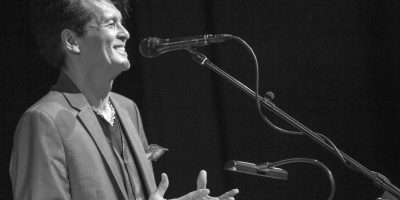 Frank Simes, musical director for The Who, performed for music students and explained what he believes to be the meaning of life at East Los Angeles College last Thursday. The Black Keys are back after a five year hiatus with their new single, “Lo/Hi,” but it’s boring, underwhelming and wasn’t worth the wait. The Vincent Price Art Museum held the annual Arts+Feminism ‘edit-a-thon’ on March 9. Attendees created and/or edited articles on Latinx Women+Non Binary Artists. East Los Angeles College will host the Festival of the Arts on March 21 – 23 at the Plaza of the Arts near the Vincent Price Art Museum. 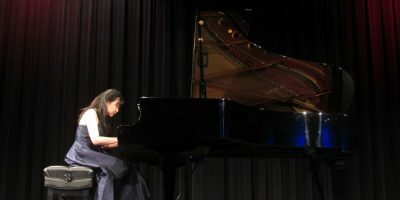 Growing up with a family of musicians, Shan Jiang was quickly drawn to the silk keys of the piano. East Los Angeles College Applied Music Major and pianist, Jiang is working toward becoming ELAC’s third student to win the California Professional Music Teachers Association Honors Competition. 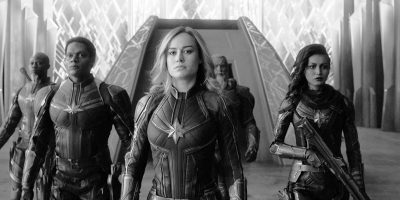 “Captain Marvel” is filled with exciting action, comedy and an amazing cast, but it’s the moments of self discovery that make it worthwhile. Artist Guadalupe Rosales lead a walkthrough with art critic Andy Campbell on her exhibit “Echoes of a Collective Memory” on Saturday at the Vincent Price Art Museum. A freelancing in entertainment workshop was given on Monday by professor and scenic designer Francois-Pierre Couture. 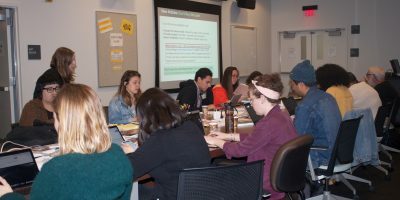 Students were exposed to advice, as well as different examples and scenarios of what can happen while pursuing a career in costume design or acting. The Vincent Price Art Museum will host the annual Art+Feminism “edit-a-thon,” a Wikipedia training session to improve the image of women on Wikipedia, on Saturday.